An earring that pays homage to Calder. 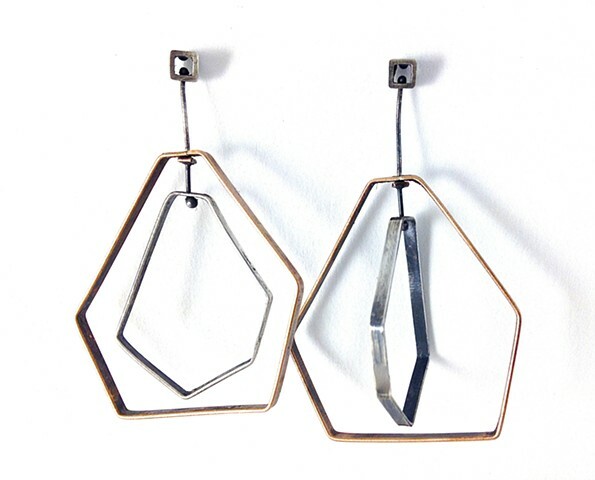 With these very kinetic sculptural earrings…”when you move, they move.” You can specify bronze or brass on the outer hexagon, inner silver hex is oxidized. Silver posts and findings.